Austria offers many mountains (with glaciers), but also meadows, forests and lakes, such as the warm Wörthersee and Bodensee Lake. In the winter, huge numbers of people come here for downhill skiing, cross-country skiing, snowboarding or sledding. 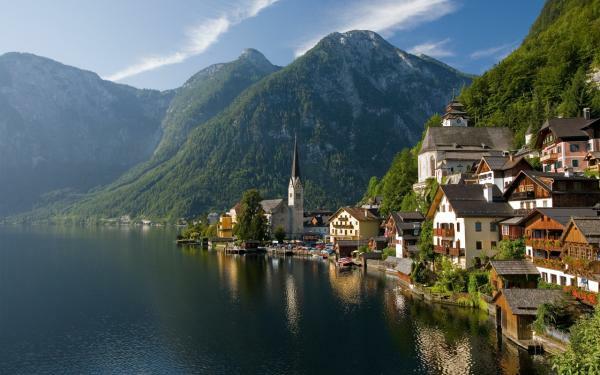 In the summer you can take beautiful walks in the mountains, cycle (along the Danube) or visit towns and cities. The climate along the southern slope of the Austrian Alps is more Mediterranean. Interesting places: Vienna (the capital), Innsbruck, Salzburg (Mozart). Vienna in particular has a lot of culture (the Prater, Hofburg Palace). Some ski areas: Carinthia (Kärnten), Styria (Steiermark), Tirol, Vorarlberg, Salzburger Land and Salzkammergut. Best-known ski resorts: St. Anton, Kaprun, Zell am See, Gerlos and Saalbach. The Flemish coast has wide sandy beaches and fashionable seaside resorts, such as Knokke-Heist, Blankenberge, Oostend, De Haan and De Panne. Flanders has the largest harbour of the country: Antwerp, along the river Schelde. The fields of this Dutch-speaking region are mostly flat. The hilly and woody Ardennes are situated in the east, in the French-speaking Walloon provinces, where there is still a lot of wild countryside. The Ardennes are the most favorite region of Belgium for the Dutch. In the winter you can go cross-country skiing here and even a bit of downhill. The most untouched parts are the Hautes Fagnes. The historical town of Durbuy on the Ourthe is highly recommended. 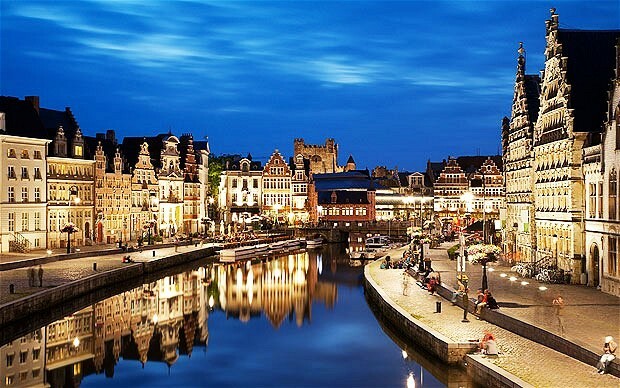 Cultural cities of Belgium: Brussels (capital, EU parliament), Antwerp (medieval center), Ghent, Liège, Bruges, Namur. Croatia is on the Adriatic Sea (across from Italy) and offers many nature parks, rocky coasts, beaches and innumerable historical towns. The best-known national parks are Plitvice Lakes and the islands of Brijuni and Kornati; all popular with tourists. All the coasts of Dalmatia, Istria and the Northern Sea Coast offer a myriad of small islands. Near the city of Rijaka is the “Golden Island”, Krk, which has a pleasant climate. The continental north has many grasslands, lakes, hills and the Dinaric Alps (Lika and Gorski Kotar). 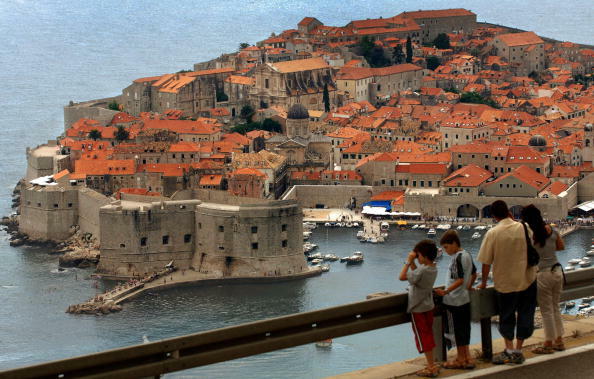 Cities with culture: Dubrovnik (old city center), Zadar, Porec, Trogir, Sibenik (cathedral), Split (Diocletian’s Palace). Denmark consists of the Jutland peninsula, Funen, Seeland and 405 smaller islands, such as the popular Bornholm and Mon islands. The large islands are connected by bridges and tunnels and are surrounded by the North Sea, the Kattegat and the Sont. This flat country offers many nice ocean resorts on the coast and foresty and scenic areas inland. 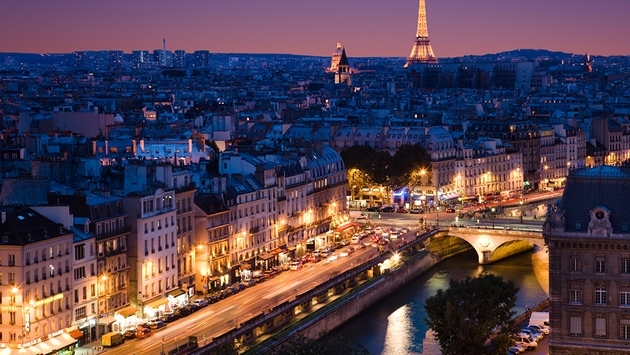 It has a very mild oceanic climate. 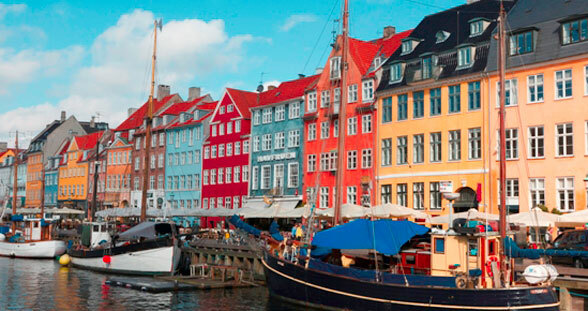 The capital is Copenhagen (Seeland). Other cities: Aarhus, Odense and Aalborg. Places worth seeing: Dyrehavsbakken (amusement park), Amalienborg (royal palace in Copenhagen) and Legoland in Billund. This country can be divided into three regions. North Germany: the plains, which border on the North Sea and the Baltic Sea, with a number of popular seaside resorts (Warnemünde, Kühlungsborn and Büsum) and large cities, such as Hamburg and Berlin. The central highlands have the most beautiful landscapes and are full of vineyards and castles. They include the Rhine Valley, the Harz mountain range, the Thuringian Forest, the Eifel, Hunsrück and the Rhine and Moselle Rivers. The towns of Düsseldorf and Köln are also situated here. 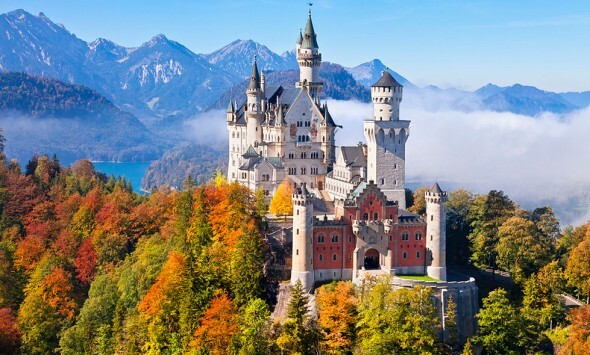 Southern Germany has the beautiful Black Forest (tip: the town of Titisee), the German Alps, Lake Constance and Bavaria; and the big city is Munich. The Danube flows nearby. Greece is situated roughly halfway between Italy and Turkey and consists of peninsulas and over 1700 islands, spread out across the Mediterranean, Ionic and Aegean Seas. Four-fifths of it is mountainous terrain. 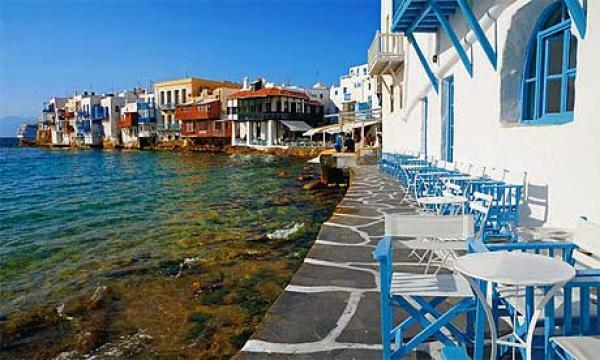 The largest islands are Crete (most visited), Euboea, Lesbos and Rhodes. Other touristy islands: Chios, Corfu, Kos, Lesbos, Mykonos, Naxos, Paros, Samos and Zakynthos. You will find Ancient Greek culture in cities like Epidaurus, Mykene, Sparta and Olympia, with the Acropolis of Athens (the capital) as the highlight. Thessaloniki is the second city of this country. The large peninsula of Peloponnesos offers culture, as well as nature and many beaches. Santorini (one of the Cycleades islands) is an impressive island that was formed by a volcano. Hungary has a pleasant climate with quite a bit of sunshine, and consists of hilly and mountainous areas. There are many national parks and health spas, such as the thermal lake in Heviz. The largest lake in Europe is also in this country: Balaton Lake in Transdanubia, with resort places, such as Siofok (the best-known one), Balatonalmadi, Balatonfured, Keszthely, Szigliget and Fonyod. Less popular lakes are Lake Tisza and Velence Lake. There are also many palaces and castles in Hungary. Other touristy places: Donauknie, Eger, Lake Neusiedl and Pecs. The cultural capital, Budapest, is called the ‘Pearl of the Danube’. Other large cities: Debrecen, Miskolc and Szeged. The largest part of Italy is mountainous. You will only find lowlands along the Tyrrhenian (in the west) and the Adriatic coast (in the east). The seaside resort place of Rimini, for example, has a long, wide sandy beach. In the Alps and the Dolomites, in the north, there is great skiing. Situated just below are beautiful lakes, such as Lake Maggiore, Lake Como and Lake Garda; very well suited for a vacation and with an oceanic (British) climate. But the majority of the country has a Mediterranean climate. Central Italy offers the picturesque regions of Tuscany and Umbria, with rolling hills and the famous Bay of Naples with Mount Vesuvius. The warm south offers Sorrento Bay, with a beautiful rocky coast, the region of Apulia (seaside resorts: Vieste and Peschici) and the islands of Sardinia and Sicily. Italy also has an enormous cultural legacy. 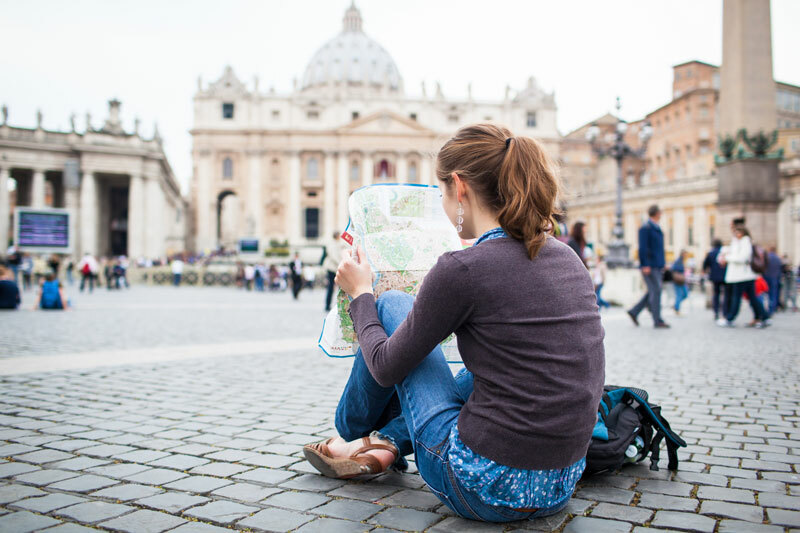 Interesting cities: Rome, Milano, Venice, Florence, Verona and Naples. Due to the long coast with its wide beaches and dunes, many rivers and lakes, The Netherlands are very well-suited for surfers, sailors and other water sports practitioners. The best-known seaside resorts in Holland are: Scheveningen, Zandvoort and Noordwijk aan Zee. Smaller seaside resorts: Schoorl, Egmond aan Zee, Katwijk aan Zee, Rockanje and Renesse. The sunniest parts of the Netherlands are (western) Zeeland and the island of Texel. The interior of the country, however, also has a lot to offer. Friesland has beautiful lakes (Lake Sneekermeer) and the West Frisian Islands (Schiermonnikoog). Water sports enthusiasts will also have a good time on the IJsselmeer (Lake IJssel). National Park The Hoge Veluwe is great for people who like to walk or cycle. Other attractive areas, which have hills and forests, are Limburg and Overijssel. 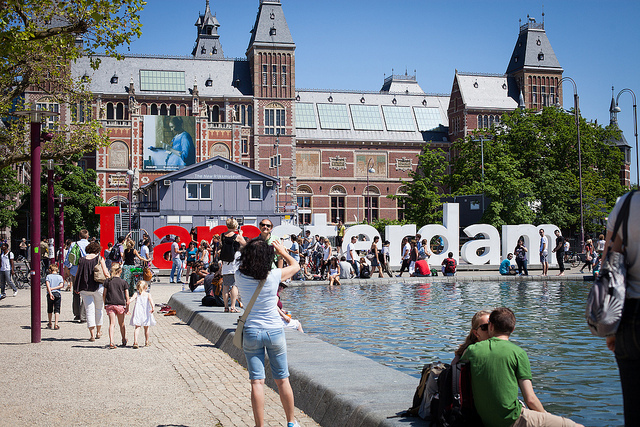 The best place for a cultural experience is Amsterdam. Portugal has a long Atlantic coast, where the large cities are situated (Lisbon, Porto, Sintra, A Coruña). The south and the countryside are very thinly populated. The southern Algarve is visited most by tourists. Due to the wonderful climate, this region is loved by people who spend the winter there. 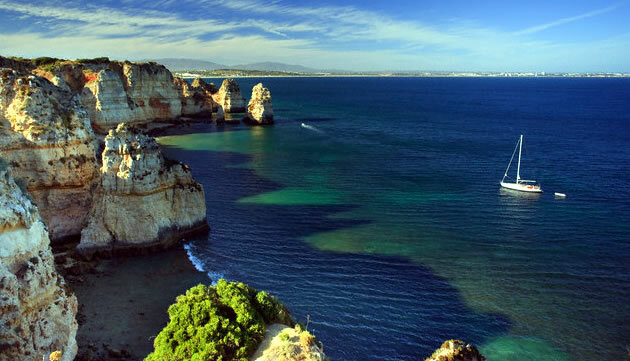 The Algarve offers well-known vacation resorts, such as Albufeira, Portimao, Monte Gordo, Quarteira, Praia da Rocha and Lagos. West of Faro, the south coast consists of high cliffs and little beaches; in the east there are long sandy beaches and lagoons. The average summer temperature here is around 24 °C. The green north (Minho) is also visited a lot by tourists. Madeira and Azores, both popular islands, also belong to Portugal. The largest rivers are the Tagus and the Douro. A mountainous country (the Pyrenees, Sierra Nevada) with many upland plains. The coasts on the Mediterranean Sea are the most touristy, followed by the Balearic Islands (Majorca and Ibiza) and the Canary Islands. 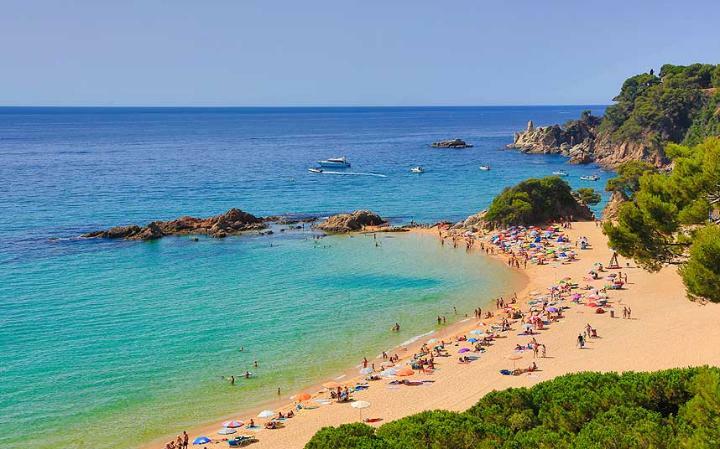 The Costa Brava (Barcelona, Salou) and the Costa Dorada have warm summers and mild winters. The Costa Blanca (Calpe, Benidorm, Denia), somewhat further south, has comparable temperatures, but is much drier. The Costa del Sol (Marbella, Torremolinos), in the furthest south, has hot summers and very mild winters, very suitable for vacationing all year round. In the green north, on the Atlantic coast (Costa Verde), it is very mild and there is a lot of precipitation. On the Spanish upland plains (from Madrid to Andalucia), it is extremely hot in the summer. Gran Canaria (the Canary Islands, Tenerife, Fuerteventura) has the best climate in the world. Spain also has a lot of culture to offer, for example in Madrid, Barcelona (Sagrada Familia), Sevilla and Granada (Alhambra). The land of the Alps. The highest Swiss Alps (Eiger, Mönch, Jungfrau) can be found in the south and in the east. Lower areas are: the Swiss plateau of Mittelland and the low mountain range of the Jura (north-west), which is great for cross-country skiing. 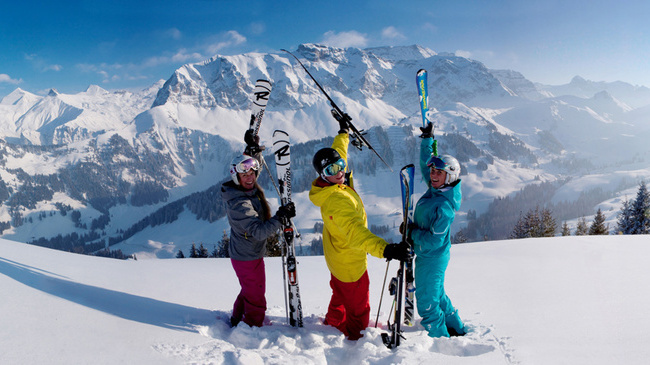 The biggest winter sports region (in the world) is Portes du Soleil, which is situated partially in France. But all winter sports are also possible in the districts of Wallis, Berner Oberland and Graubünden. The Aletsch Glacier is dazzling and is situated in the southern district of Wallis, which is a nice, sunny place to stay, both in the winter and in the summer. Ticino, the most southern region, has a subtropical climate. The Lake of Lucerne is the most-visited lake. Other well-known lakes are: Lake Geneva, Lake Constance and Lake Maggiore. For culture you can go to Basel, Bern, Lucerne (wooden bridges) or Geneva. Popular ski places: Davos, Klosters, Zermatt, Saas Fee and Crans-Montana. Zürich is the largest city in the country. The part of Turkey that is by far the largest and which is situated in Asia, is called Anatolia, with Ankara, the capital city. The smallest part is situated in Europe and contains the largest city of the country: Istanbul. The two parts are separated by the Dardanelles, the Marmara Sea and the Bosporus Strait, which connect the Mediterranean Sea to the Black Sea. Turkey has a large variety of landscapes. The south-west coast of Anatolia has a Mediterranean climate. On this “Turkish Riviera” are situated seaside resorts, such as Bodrum, Marmaris, Alanya, Antalya and Kusadasi. The interior has very hot summers and extremely cold winters. Only 50 km from the warm city of Antalya, you can ski; in Saklikent. For culture and history, Istanbul and Bursa are interesting. There are ancient temple ruins near Ephesus (Efes), and Cappadocia has a mysterious moon landscape (with ancient underground cities). The United Kingdom (Great Britain) consists of England, Scotland, Wales and Northern Ireland, and the capitals are respectively London, Edinburgh, Cardiff and Belfast. The island has a moderate climate with a lot of cloudiness. The scenery includes green, rolling hills, low mountains, chalk cliffs and many lakes. The subtropical South West England is particularly popular because of the beautiful landscape (New Forest National Park). There are seaside resorts on the south coast: Portsmouth, Brighton and Bournemouth. Nearby is the sanctuary of Stonehenge (world-famous large standing stones). Other places worth seeing in the South of England are: Beachy Head (view of the Channel), Jurassic Coast, Canterbury (cathedral city) and Leeds Castle. 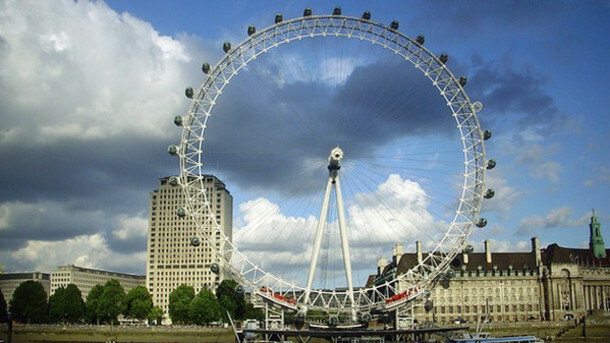 Trendy London is very rich in culture (Tower Bridge, The Big Ben, Buckingham Palace).